Media Size Choose an option15" x 22 1/4"24" x 36"
“Burning Desire” is the latest in a series of motorcycle themed illustrations by Marc Lacourciere. 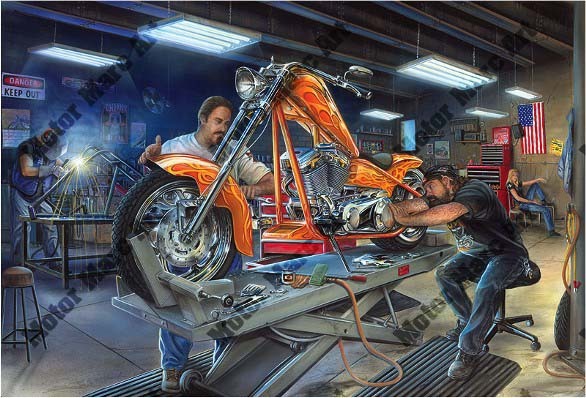 Marc has captured the special bond between man and machine as a custom chopper is born. The sense of pride in workmanship is apparent on the faces of the men as they put the finishing touches on the custom chopper. 15" x 22 1/4", 24" x 36"